With items arriving every day, there's always something amazing to discover in our girl and boy collections Mini Raxevsky, Renegades and Versace 19-69 Abbigliamento Sportivo SRL has on offer from newborns to 14 years old. Enjoy the hand pick collection and shop the best clothes for babies and kids at the click of a button. With items arriving every day, there's always something amazing to discover in our girl and boy collections by Mini Raxevsky and VERSACE 19.69 Abbigliamento Sportivo SRL Milano Italia from newborns to 14 years old. Enjoy our New Collections and shop the best clothes for babies and kids at the click of a button. Mini Raxevsky infant collection for girls is designed to dress our babies with pretty baby outfits of excellent quality and unique designs! Romantic prints, decorative rhinestones and luxury details! Choose the most amazing gifts for your loved ones! VERSACE 19.69 Abbigliamento Sportivo SRL Milano Italia and Mini Raxevsky infant collection for boys is designed to dress our babies with colorful baby outfits of excellent quality and unique design. Trendy prints, embroideries and very cool designs. Choose the most amazing gifts for your loved ones! From play-all-day sets to more formal outfits, VERSACE 19.69 Abbigliamento Sportivo SRL Milano Italia and Mini Raxevsky collection shows a brilliant selection that will satisfy even the most demanding boys! Bright colours, bold designs, exceptional quality and comfortable fit. Classic Polos and trendy pants will fit perfect in his closet. He will absolutely love this new this new season exciting boy’s collection! From party dresses and pretty skirts to easy-to-wear essentials for every day, discover the perfect look for your little Princess. Our brilliant collection of girls clothing can be combined with handmade accessories for a smart final touch. Enjoy our unique girls designs, find the best quality and always remember to add a little extra sparkle with our Mini Raxevsky and VERSACE 19.69 Abbigliamento Sportivo SRL Milano Italia Collections! For parents who know… how to impress! We artistically designed the most beautiful party wear to be glittering and shiny, dressing our little babies with luxurious fabrics, sophisticated laces and adorned with semiprecious stones. Mini Raxevsky Renegades Baby Boy suits for the most official appearances. Excellent quality, unique designs, comfortable and stylish makes them the most beautiful gift for your little prince! Mini Raxevsky welcomes at her eshop and boutiques a new Fashion Brand, the kids collection clothes of the company VERSACE 19.69 Abbigliamento Sportivo SRL Milano Italia! Casual chic and boy outfit that will amaze you with their quality and incomparable design of the international luxury brand. Versace 19-69 Abbigliamento Sportivo SRL is a brilliant selection that will satisfy even the most demanding boys! Bright colours, bold designs, exceptional quality and comfortable fit. Versace 19-69 Abbigliamento Sportivo SRL infant collection for girls is designed to offer our pretty babies, unique outfits of bold designs, exceptional quality and comfortable fit. From play-all-day comfy cotton dresses to party and special occasion frocks, there is a style for every day! Pretty lace, decorative rhinestones, bows & flowers, playful prints & embroideries, girly ruffles, luxury fabrics and excellent quality. Trendy sets & outfits for Mini Raxevsky baby girls. Great offers from smart gift ideas to essential items to choose in multiple colours and styles. Discover lots of brilliant ideas for beautiful baby girls clothing sets. Cotton, velvet or silk, the Mini Raxevsky baby girly skirts are exciting. Unique designs, ruffles, tulle, decorative rhinestones and luxurious fabrics for every occasion. Great and comfortable baby shirts from the collection Mini Raxevsky, with beautiful designs and colours that you will definitely love. Easy-to-wear tank tops, short sleeved or sleeveless, have some fun with bright colours, prints, rhinestones and bold designs from our wide Mini Raxevsky collection. Baby Girl pants and leggings to school. Discover the most comfortable and easy to wear Mini Raxevsky clothes for every occasion! Baby Girl overalls and suits in various designs and colours with prints, embroideries and dazzling rhinestones. The perfect ideas for the perfect baby gifts! Beautiful and comfortable baby boleros and cardigans. Beautiful designs excellent quality for your adorable baby girl. Mini Raxevsky stylish knitted jumpers, pullovers, sweaters, boleros and cardigans. Excellent quality, trendy and comfortable. Warm jackets and fur coats from your favourite baby collection Mini Raxevsky. Beautiful designs and fabrics that will impress you and your babies! Baby girl accessories exclusively designed to match the Mini Raxevsky New Collection dresses and outfits. Baby Girly all-day-wear shorts for comfort and style. Choose your favourites from our Mini Raxevsky selection of unique designs and colours. The Renegades by Mini Raxevsky and Versace 19-69 Abbigliamento Sportivo SRL infant collection for boys is designed to dress our babies with colourful baby outfits of excellent quality and unique design. Trendy prints, embroideries and very cool designs. Choose the most amazing gifts for your loved ones! The classic but brilliant boy shirt. Single colour, check or with stripes. T-shirt or Polo, long or short sleeve, this seasons boys blouses come in amazing colours and designs. Definitely the perfect choice for every hour of the day! Incredible pants from beautiful Mini Raxevsky Renegades and VERSACE 19.69 Abbigliamento Sportivo SRL Milano Italia collection, that you will enjoy this season for its quality, style and imagination. Give your babies beautiful style and elegance they deserve! Stylish knitted jumpers, pullovers and sweaters. Plain or in strips which are still trendy in horizontal, vertical or geometric shapes. Practical, elegant, fantastic designs and colours baby boy jackets pullovers, vests and coats for special occasions. He will wear them while playing outdoors but also at a fancy party. Jean, cotton, velvet or silk, the Mini Raxevsky girly skirts with flower prints and fashionable patterns are exciting us! Unique designs, ruffles, tulle, decorative rhinestones and luxurious fabrics for every occasion. From party dresses and pretty skirts to easy-to-wear essentials for every day, discover the perfect look for your little Princess. Our brilliant collection of girls clothing can be combined with handmade accessories for a smart final touch. Enjoy our unique girls designs, find the best quality and always remember to add a little extra sparkle! Trendy kids sets & outfits for your girls. From smart gift ideas to essential items in multiple colours and styles, discover lots of brilliant ideas for beautiful girl outfits and clothing sets. From easy-to-wear tank tops and smart blouses for girls, to special shirts she'll love our brilliant selection of girls t-shirts and tops. Short sleeved or sleeveless, have some fun with bright colours, prints, rhinestones and bold designs from our wide Mini Raxevsky collection. Girly pants and leggings to school. Discover the most comfortable and easy to wear Mini Raxevsky clothes for every occasion! Girly jumpsuits to school. Discover the most comfortable and easy to wear Mini Raxevsky clothes for every occasion! Girly all-day-wear shorts for comfort and style. Choose your favourites from our wide Mini Raxevsky selection of unique designs and colours. Mini Raxevsky stylish knitted jumpers, pullovers, sweaters, boleros and cardigans. Excellent quality, trendy and comfortable . Mini Raxevsky girls are always dressed up in style for the cold winter days. From waterproof, practical and cosy jackets, pullovers and vests to luxury fur jackets. Soft fabrics, excellent quality and trendy designs. Handmade girl accessories exclusively designed to match the Mini Raxevsky New Collection dresses and outfits of. Headbands, cues, bracelets, handbags, tights etc. The classic but brilliant boy shirt in single colour, check or with stripes. T-shirt or Polo, long or short sleeve, this seasons boys tops come in amazing colours and designs. Definitely the perfect choice for every hour of the day! From play-all-day sets to more formal outfits, Renegades collection by Mini Raxevsky and Versace 19-69 Abbigliamento Sportivo SRL is a brilliant selection that will satisfy even the most demanding boys! Bright colours, bold designs, exceptional quality and comfortable fit. 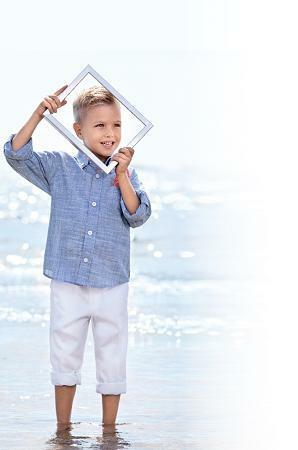 Boys all-day-wear Bermuda shorts for comfort and style. Choose your favourites from our wide Mini Raxevsky selection of unique designs and colours. Mini Raxevsky takes us in the country of creation to know the sources of their inspiration. From essential jeans to formal cotton and linen pants for special occasions. Our boy pants collection comes in many colours and designs. Practical and elegant boy jackets pullovers, Vest and coat for special occasions or waterproof ones for school. He will wear them while playing outdoors but also at a fancy party. Mini Raxevsky international design team is creating perfect sets for most demanding little customer. At the same time we at Mini Raxevsky recognise that certain situation or colour preference may not be suitable for all of our customers. To cater for those situations we have created mix and match options where customer can choose and see how the colour or design of different garments looks together. The Renegades by Mini Raxevsky and VERSACE 19.69 Abbigliamento Sportivo SRL Milano Italia infant collection for boys is designed to offer our pretty babies, unique baby outfits of excellent quality in low prices. Sales and Offers of Mini Raxevsky kids clothes for baby girls and boys 0-24 months, girls and boys from 1-14 years. Clothes for every taste and style. Enjoy unique designs, excellent quality and comfort that you will love forever at the most attractive prices. The Mini Raxevsky infant collection for girls is designed to offer our pretty babies, unique outfits of excellent quality in low prices. Here you will find great discount of Mini Raxevsky Renegades collection, for your little heroes. Comfort and style in the most incredible prices. Mini Raxevsky collection for stylish girls. Enjoy unique designs, excellent quality and comfort at incredible prices, giving to your princesses what they really deserve.